Man Utd have been paired with a possible swoop for Bayern Munich defender Mats Hummels in January to finally allow Jose Mourinho to bolster his defence. As noted by The Independent, the Portuguese tactician was eager to improve his defensive options this past summer but failed to see a new signing arrive in that position. Although he does have Chris Smalling, Phil Jones, Eric Bailly, Victor Lindelof and Marcos Rojo at his disposal, the start to the season has arguably proven him right in that he needed more quality as the Red Devils have conceded 12 goals in seven league games to languish in 10th place. While Bild report that Hummels is going through a difficult period at Bayern under coach Niko Kovac due to his rotation policy which has seen him make just seven appearances across all competitions so far this season, The Sun have gone a step further and linked the 29-year-old with a move to Old Trafford. Defensively sound, more than capable of building out from the back and with a wealth of experience and a winning pedigree which includes winning four Bundesliga titles and a World Cup, Hummels could very well be the answer that Mourinho is looking for. However, much can change between now and January, and so it remains to be seen whether or not the German stalwart can establish himself as a regular for Bayern again and dismiss all talk of an exit. If that doesn’t materialise, then perhaps a move elsewhere could be tempting, and especially with United’s defensive search in the summer in mind, it would seem as though Old Trafford would be an obvious destination. 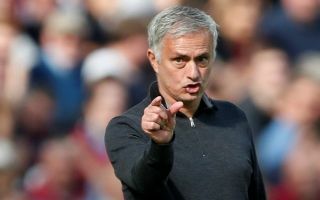 Nevertheless, that’s dependent on Mourinho making it to January still being Man Utd boss, as having now gone on a four-game winless streak, the pressure is mounting on the 55-year-old and he’ll need to oversee an upturn in form to ensure that he’s even still in charge by the New Year.